So this past Saturday, I commented that I was recording videos for the site here, and friend-of-the-podcast Sam — developer of Space Salvager — asked if I was streaming. I typically don’t stream my videos, but he asked so nicely I couldn’t refuse. 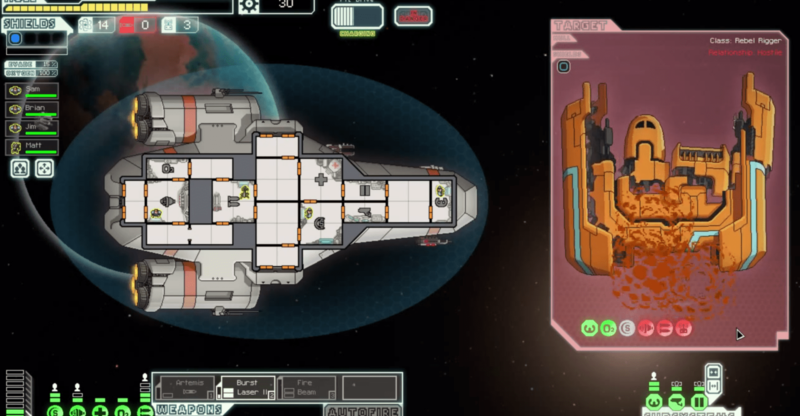 Saying he had no preference for what I played, I chose something at random: FTL. Why did I choose this? Because some part of my brain wants me to have an anxiety attack, apparently. Join me as I don’t last very long in an EASY game of FTL…because the game hates me, and yet I still love it. Enjoy!